The C96 broom handle was developed in 1896, and saw action in both World Wars. 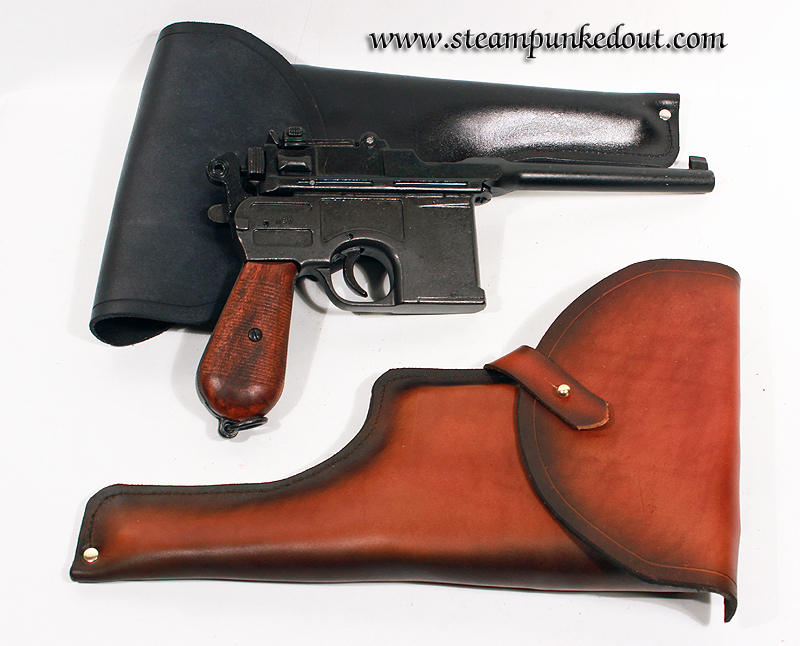 It originally came with a detachable stock which was hollow and doubled as a holster for the gun. 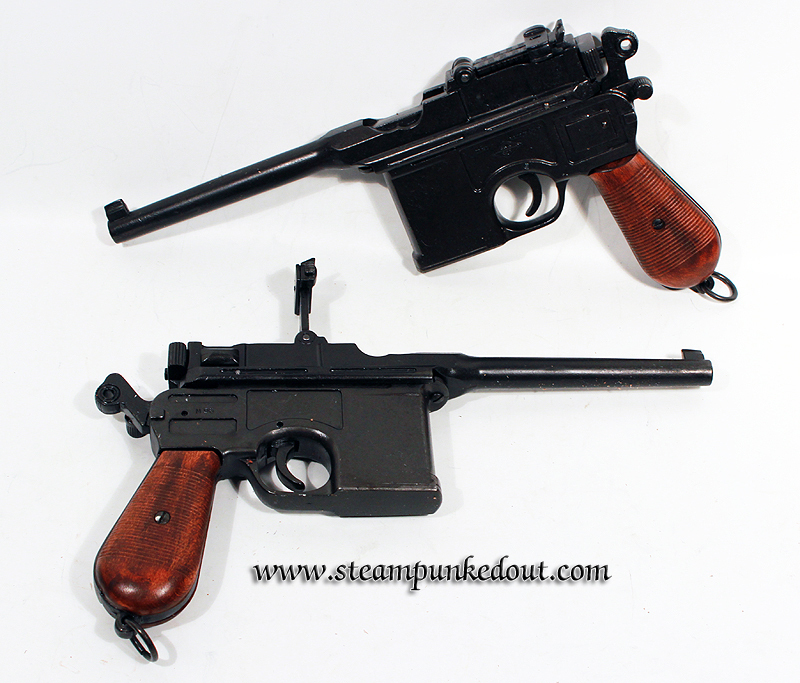 THe C96 was very popular with british officers early on, but by the time WWI started British use had fallen. 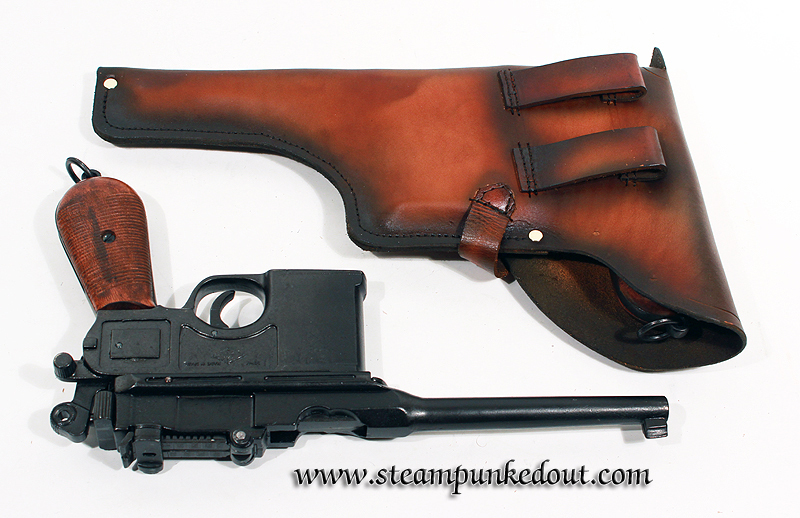 It's interesting design has made it popular for use in a large number of movies, from Joe Kidd (Clint Eastwood) to Star Wars (Han Solo's DL-44 blaster was based on the C96). 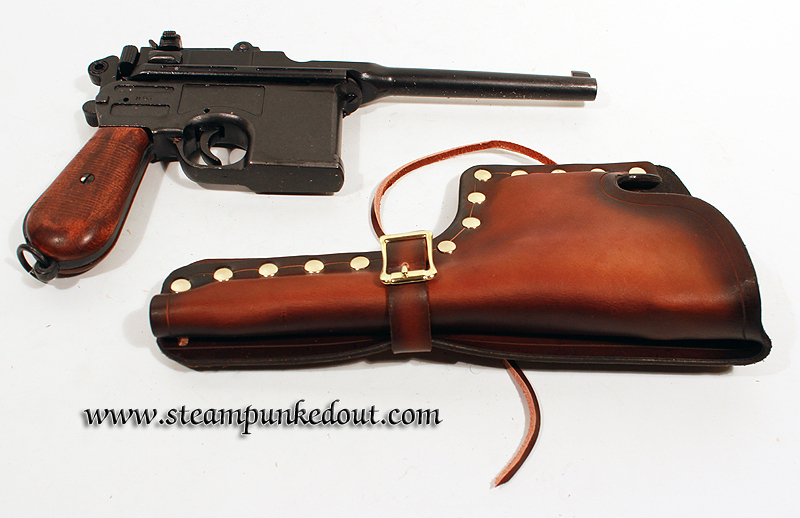 This made in Spain replica captures the heart of the gun, even if it doesn't come with the wooden stock. It has a functional charging mechanism and trigger, and the slide sights have the appearance of functionality. It has either a black handle or a wooden grip available. Great for your next webisode or stage work. 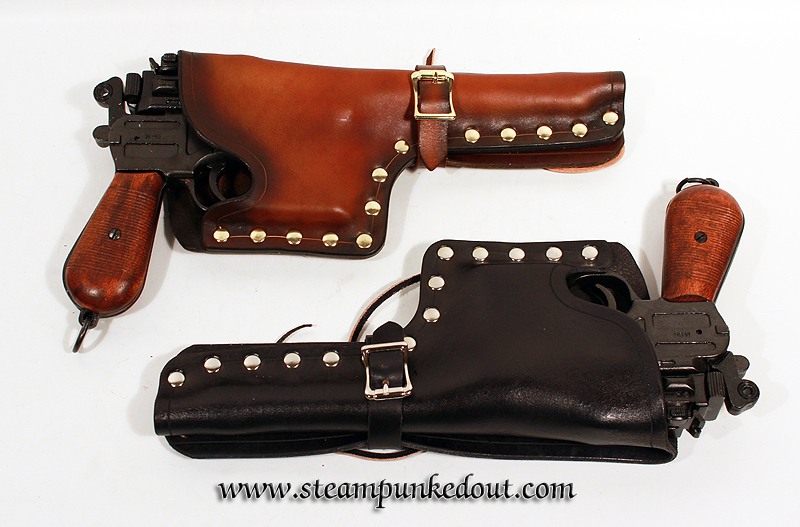 I've design 2 styles of Holster for this gun: A western "Gunfighter" style, and a more historical flap holster. 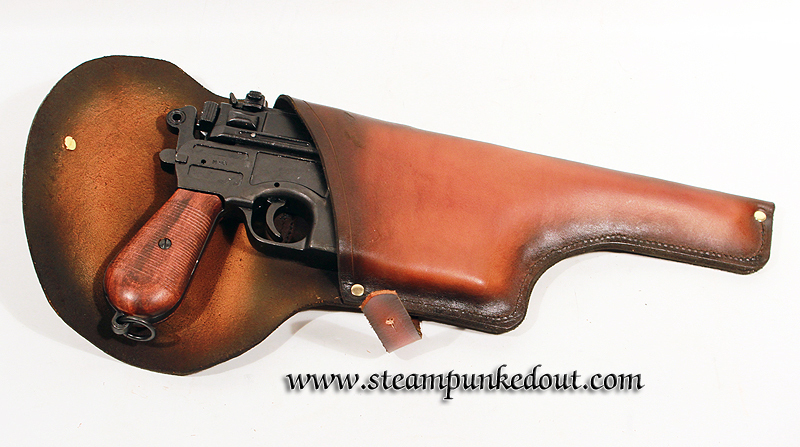 Like my other western fold over holsters, the Gunfighter holster leaves more of the gun visible and works with most of the accessory belts/straps, including the Western Gun Belt. 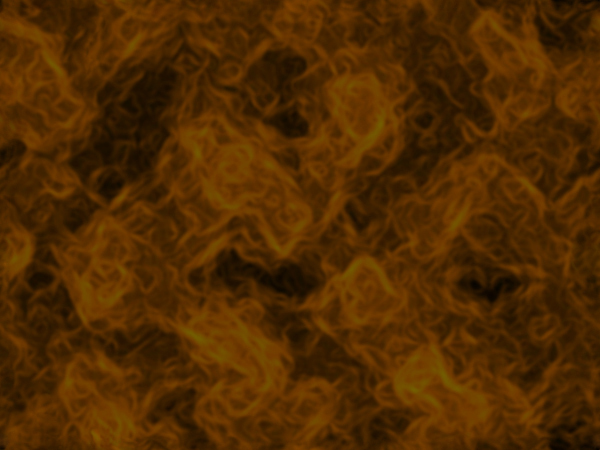 It's made from a heavy 8-9oz. 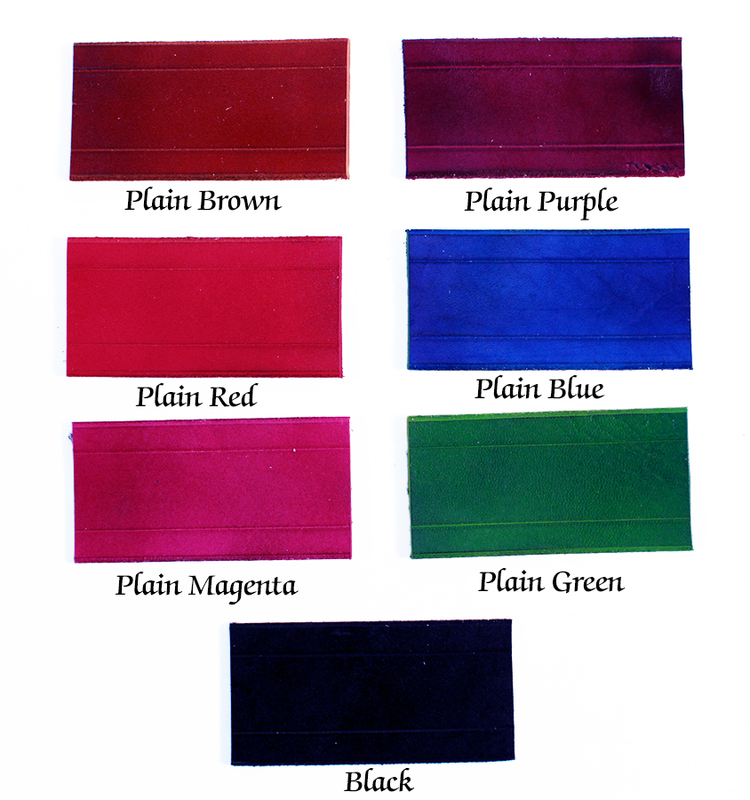 leather and finished in your choice of color. Available for a left or right handed draw. 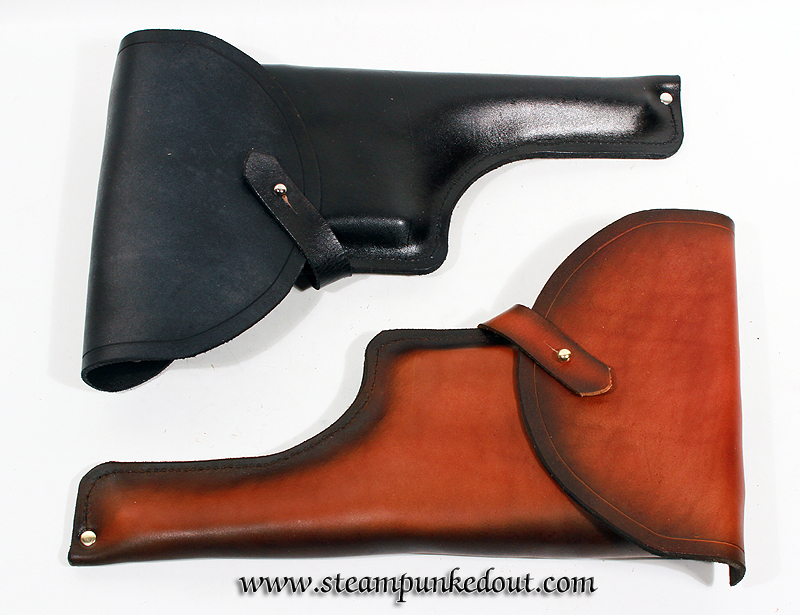 The Flap style holster is inspired by the military holsters of the era. 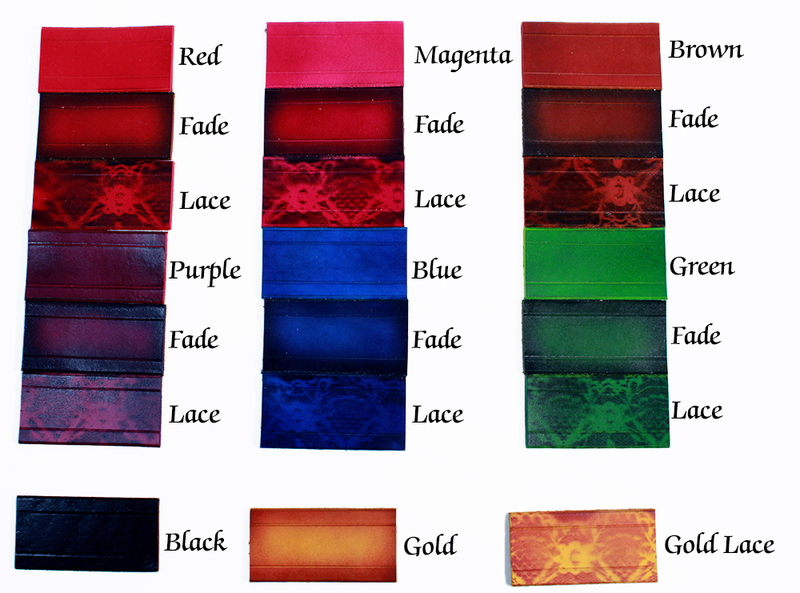 It's sewn from a 5-6oz. 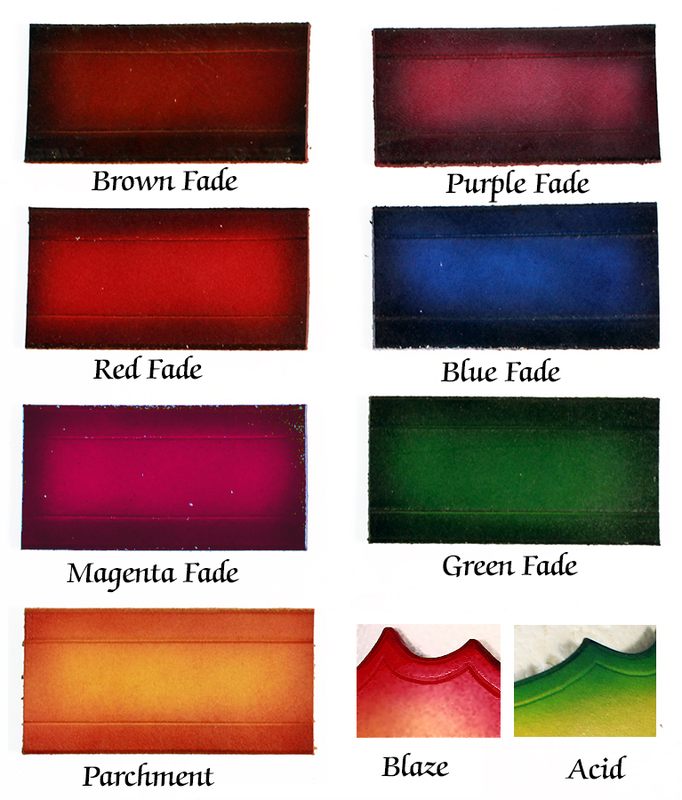 leather, and finished in your choice of color. 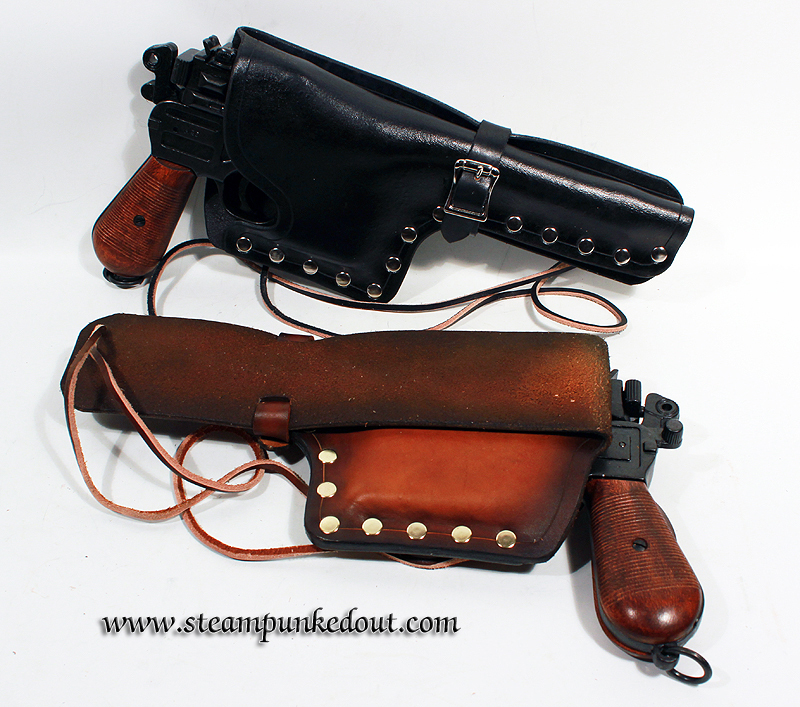 Also available in a left or right hand holster.